Antron grew up at a drag strip, where he accompanied his father, Albert, and uncle, Andre, who were – and continue to be – avid NHRA Sportsman racers. From then, Antron has gone on to break numerous records and win many championships and awards. Between 1998 and 2007 Antron competed in the National Hot Rod Association’s (NHRA) Pro Stock Motorcycle division. In 2008 he switched to Top Fuel dragsters – the fastest class of drag racers and some of the most powerful vehicles on the planet. His wins on two- and four-wheeled vehicles make him the first driver in NHRA history to win races in both Top Fuel and Pro Stock Motorcycle. 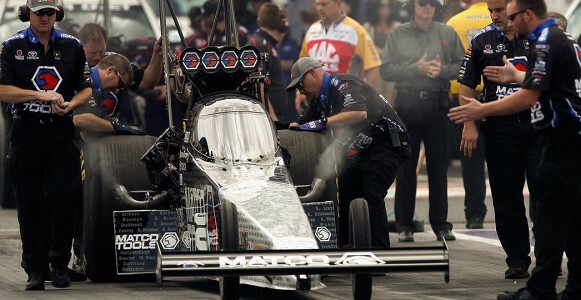 His first ever win in the Top Fuel category was at Houston Royal Purple Raceway – which is the competition venue for Idris’ debut drag race competition in this series.